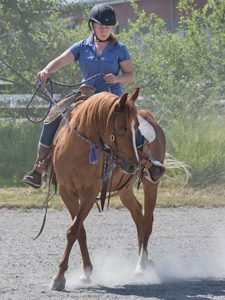 I worked with Roscoe in the riding portion of the recent Joel Connor Clinic, and we made much progress.…. 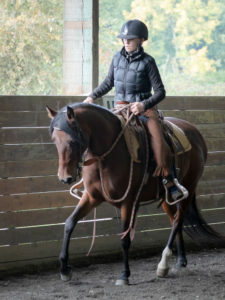 and found many things to continue to work on! 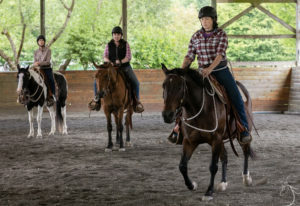 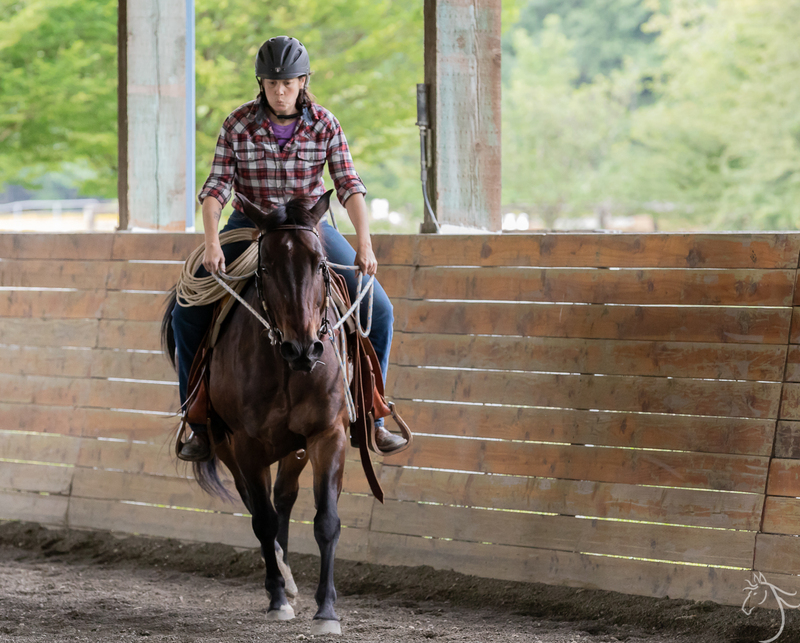 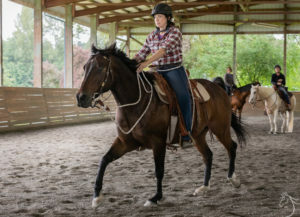 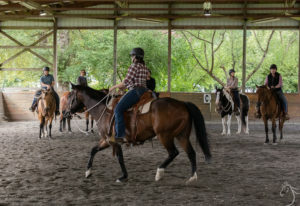 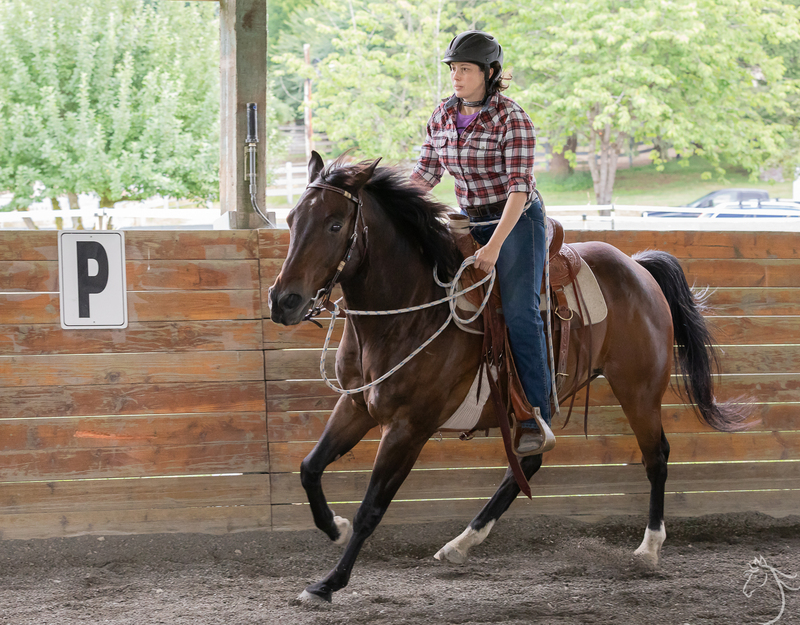 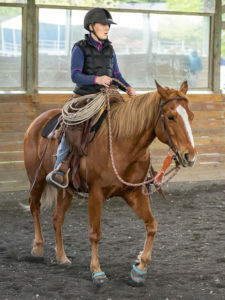 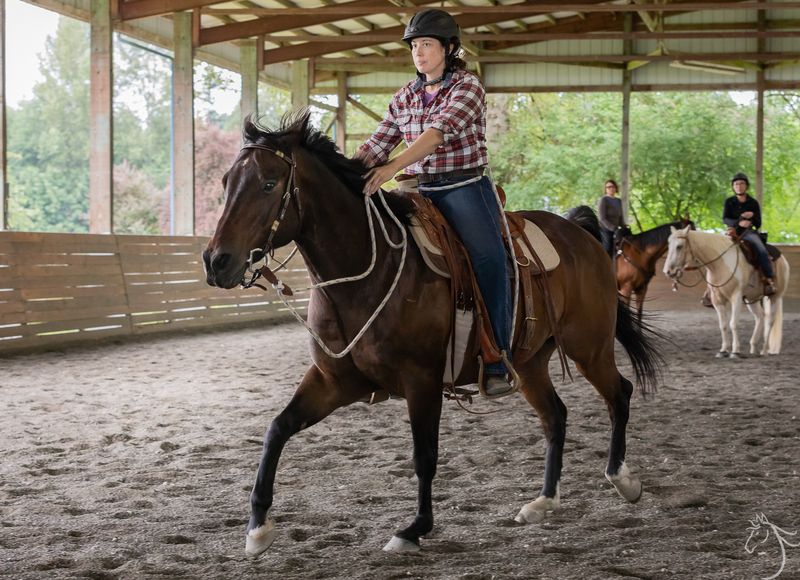 Roscoe has always had a hard time moving his forequarters around and engaging his hind end, so we focused a lot on this; getting a smooth rhythm going while transitioning from moving the hindquarters to moving the front quarters under saddle. Roscoe did well carrying a soft feel at the walk and trot, and showed improvement in his engagement, carrying it briefly in the canter. 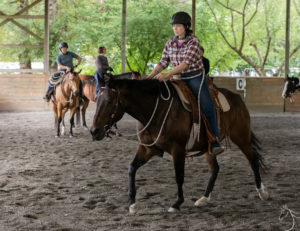 We worked quite a bit on Trot‐to‐Canter transitions, carrying the canter (not falling out of it), and staying in the correct lead at the Trot for successful transitions. 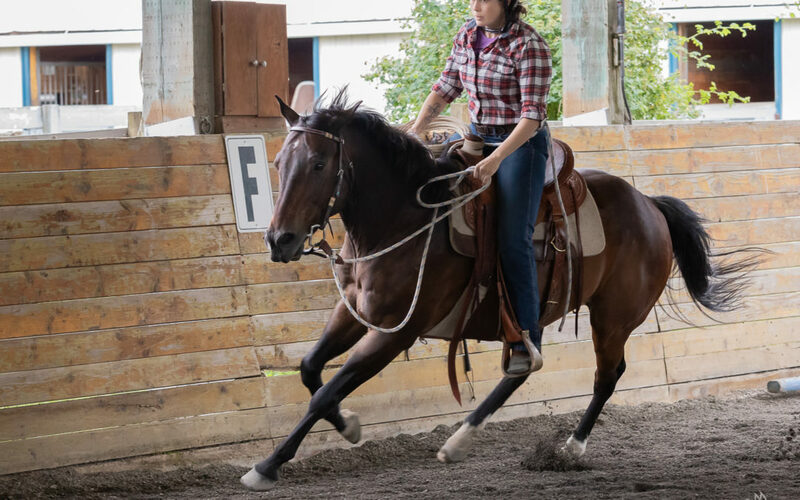 For my part, I tried to be clear, consistent, and punctual in my cues so that our combined finesse may improve; there is still room to grow, but overall, Roscoe did very well in the clinic and, as much as he may have gotten from the weekend, I think I got much more‐ and not just from Joel! 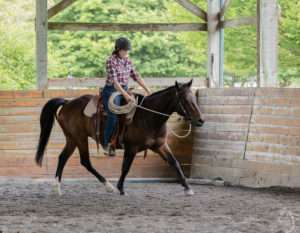 Roscoe helped clarify some details of the work to me, is helping me with my timing and finesse, and is walking, trotting proof of a horse with a huge amount of heart and try.